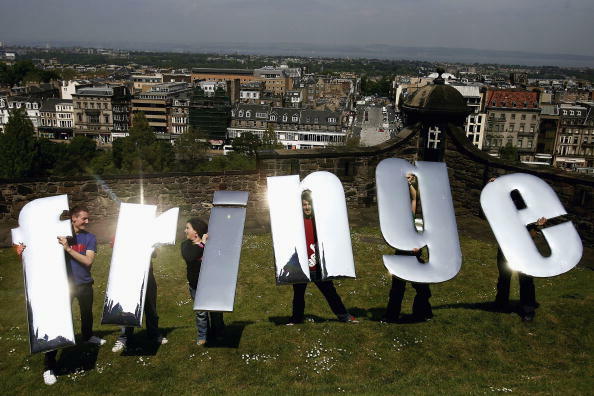 Home › Edinburgh Festival › Limbering up for the Fringe! It’s that time of year again. My head swells with the myriad of Fringetastic delights that tempt me within the newly released programme. I’m sad to see my new found favourite of last year, Bunk Puppets who produced Slapdash Galaxy, are not here for the fun, but there’s so much more to find that I’ll probably salve my pain. So as we get ready for the artpocalyspe once more, it’s an opportune time to post a link to a piece of travel writing I recently had published on just that issue. So roll up for my Edinburgh Fringe tips! Click on the picture below for the link to my article. ‹ Why I Wanted to Help : The Importance of Donors and Fundraising.